Battery anxiety is a real thing. Well, maybe it's not a legitimate medical condition, but we all experience it. At 5 percent, you're just minutes away from losing all social contact. What do you do? 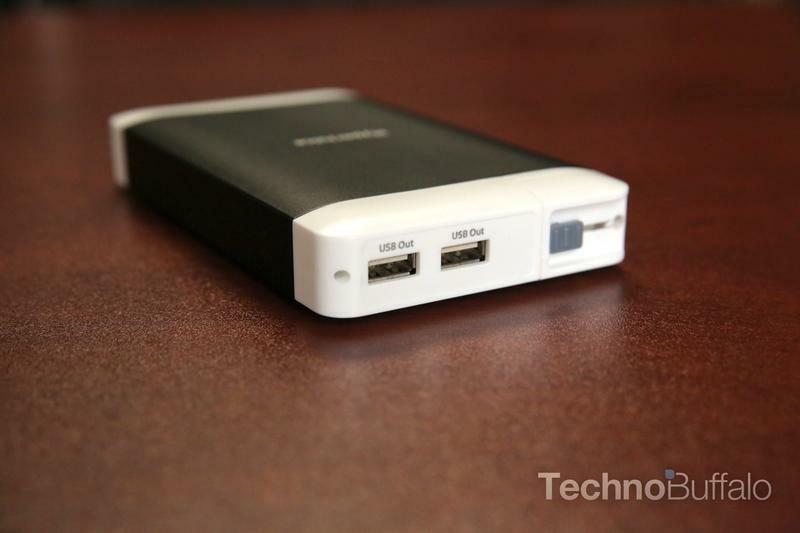 As your forehead perspires and your hands get clammy, it's time to admit you need a portable battery. Swallow your pride, guys. 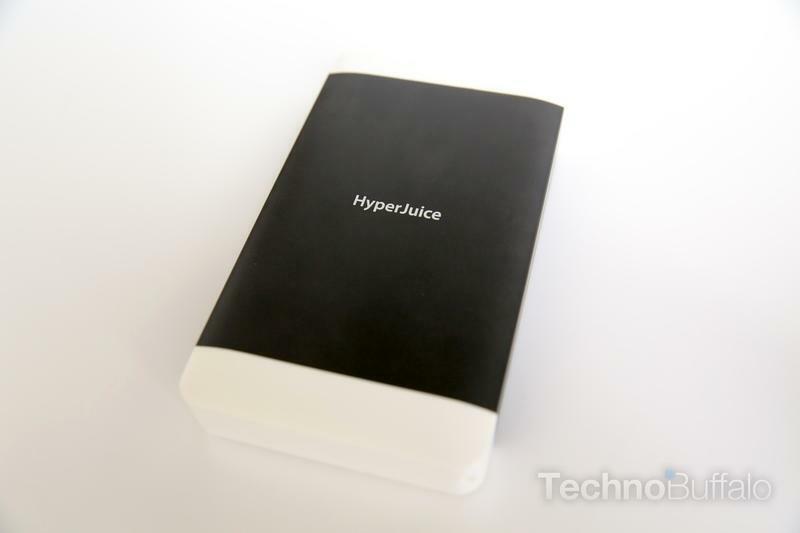 The HyperJuice Plug is an enormous portable battery—an arc reactor disguised in a hard drive-like black shell. 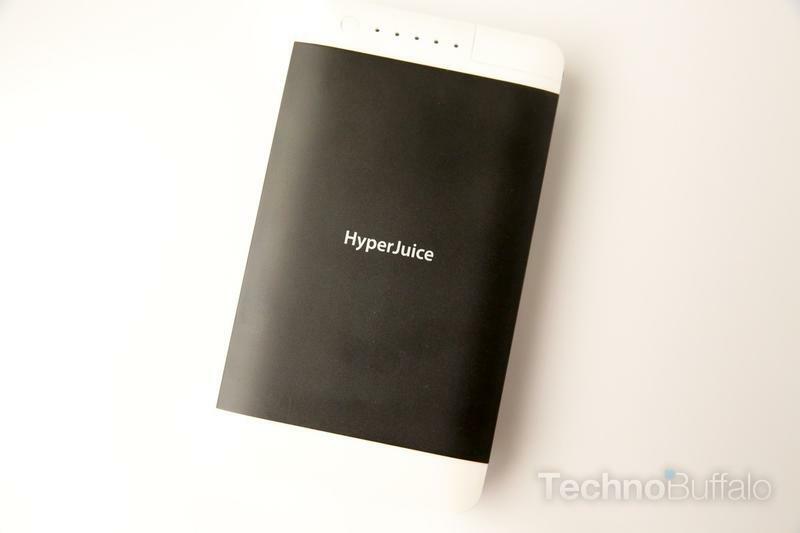 With 15,600 mAh of juice, this will get you through any possible situation imaginable, with enough muscle to charge two tablets simultaneously. That's an impressively good trait for a portable battery, and will ensure you never run out of juice again. The lithium ion pack has an output of 5V, 15W shared, and an input of 5W 100-240V AC. 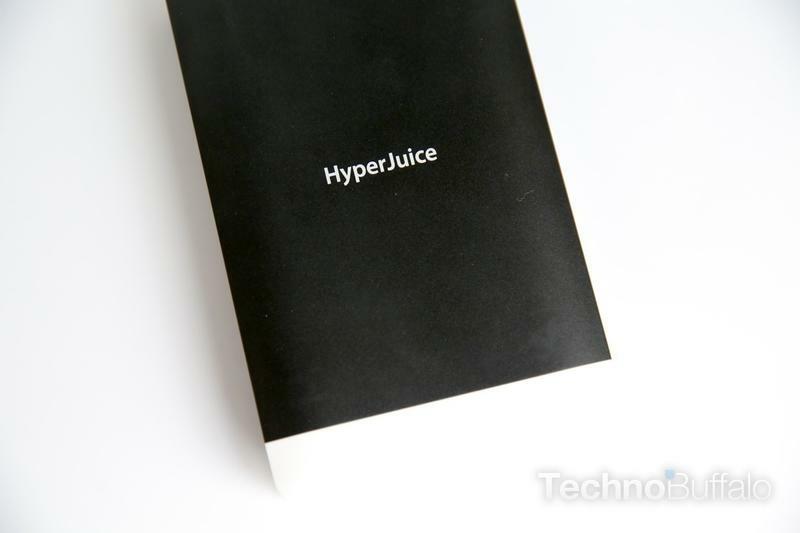 Basically, that means you can charge your iPhone or Nexus 4 up in no time, from the verge of death to Red Bull energy. 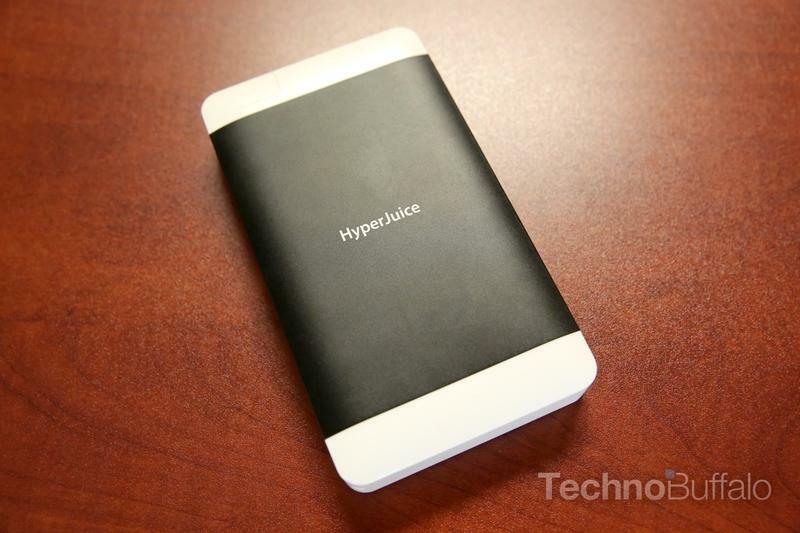 With such a large battery, it certainly has some heft (it weighs one pound), and measures in at 6.1 x 3.4 x 0.78-inches. That's ok, though, because the size means you'll have what's almost everlasting power. You know: everyone. It's like a coffee addiction for gadgets. Once you plug in, you'll get that instant electric high. You'll be able to watch YouTube videos, listen to music and peruse Facebook longer. 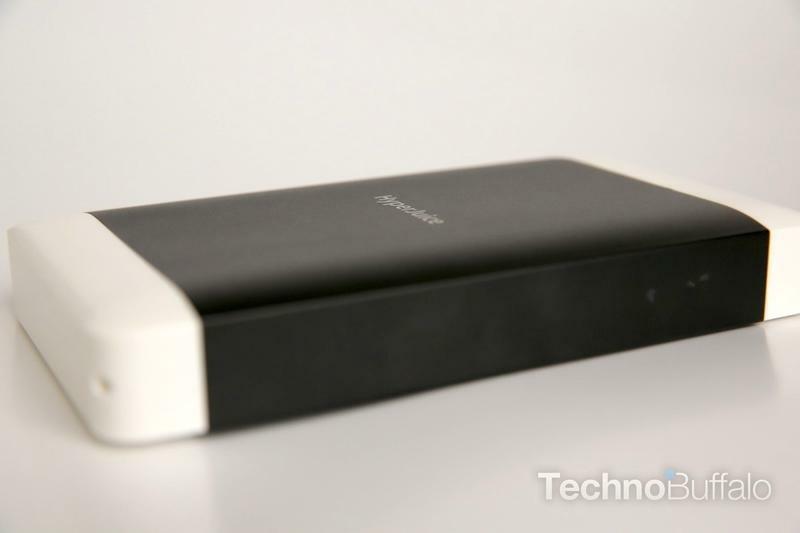 Only the heaviest of gadget users will need an extra 15,600 mAh battery, but go big or go home, right? If you have a tech-savvy family, the HyperJuice Plug will keep all those iPads energized and ready for lengthy Angry Birds sessions. 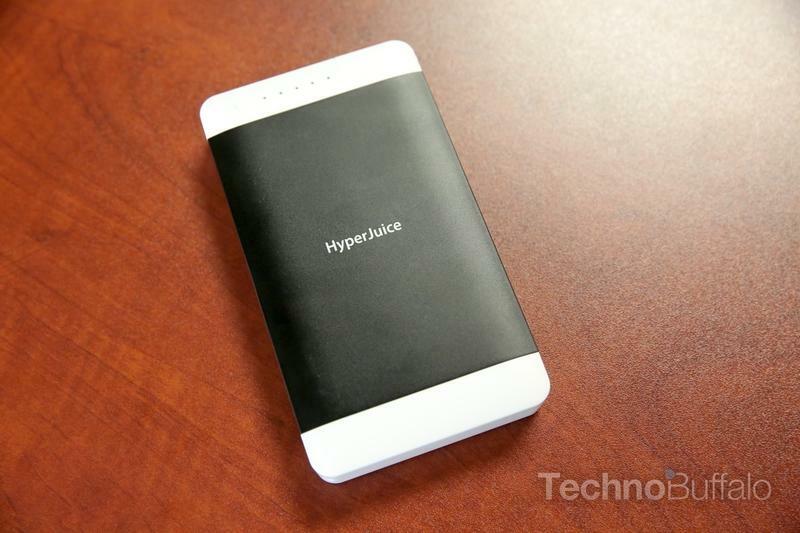 Well, the fact that it's a 15,600 mAh battery is quite stellar. 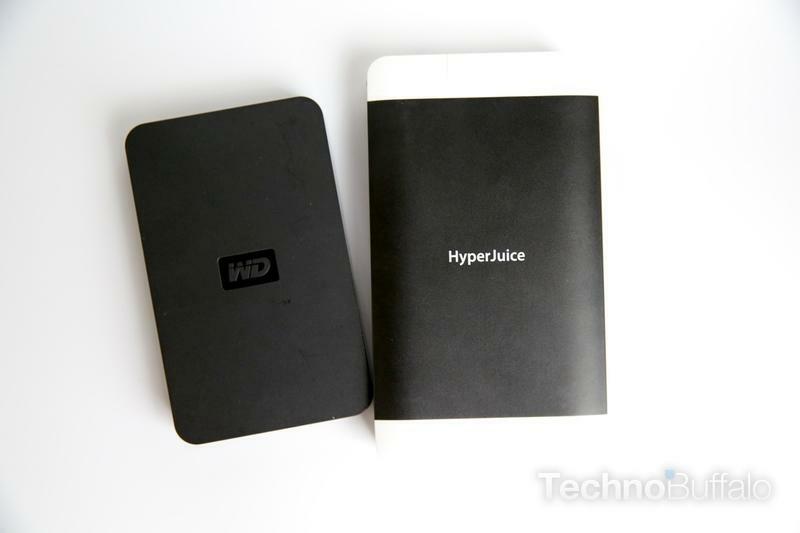 And for how much power it packs, it's not appallingly large—about the size of a large portable hard drive. If you ever own something like this, it's because you know you need it, so chances are you won't mind the weight or size anyway. 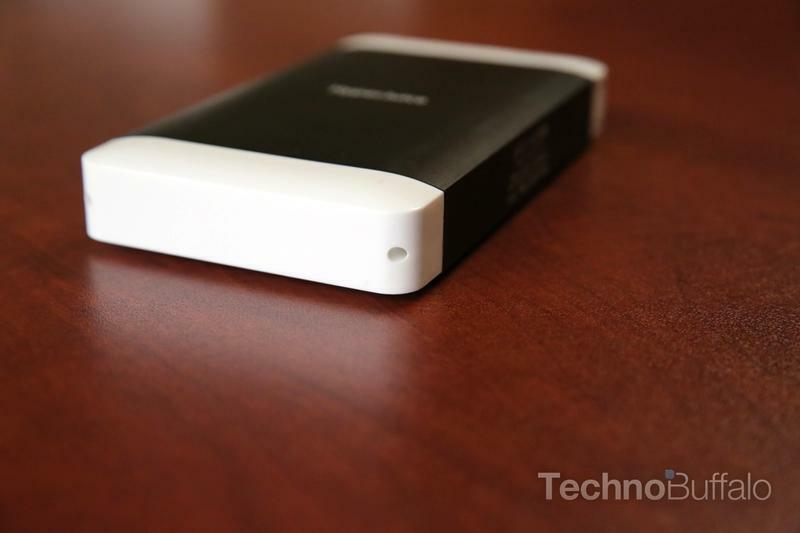 That said, the design itself is quite nice—not quite as wonderful as what Mophie produces—but very good indeed. 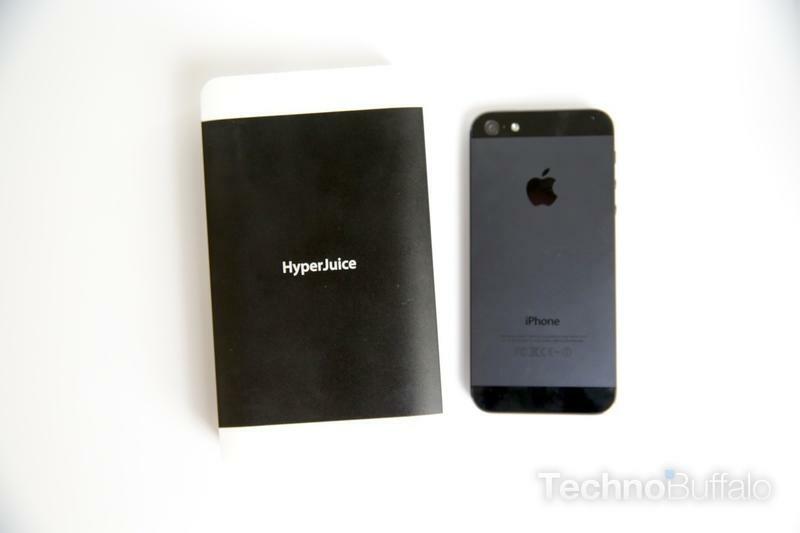 The unit is made of an Apple-esque aluminum housing (we chose black, obviously) with two plastic end pieces. It's very minimal, and wears that two-tone design well. The fact that it's capable of charging two iPads at the same time is huge. You'll be able to add 23 hours to an iPad 2, 13 hours to an iPad 3, and charge an iPhone 5 about 10 times all the way through. That's extremely excellent and will ensure your phone is perpetually maxed out, like a constant gadget sugar rush. 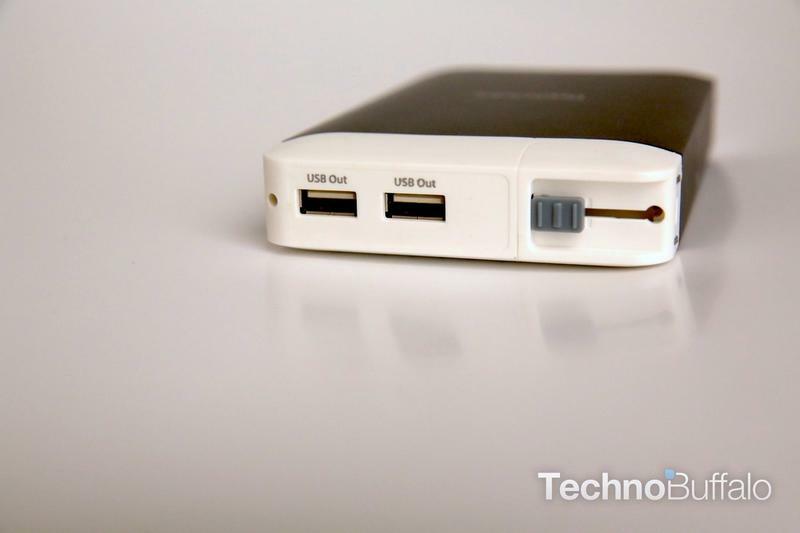 It even has pass through capabilities, so you can charge a device and the Plug at the same time (unlike that Mophie). There's also a handy LED indicator so you know how much power is left in the Plug. Even the biggest and baddest gadgets run out of power, too. What's great is that you don't need any additional wires to charge this guy; simply plug it into the wall by sliding out its built-in wall connection—this part, I have to say, is also a bit flimsy feeling. The price is a huge punch to the gut. At $160, this isn't in impulse buy territory in the least, and it's not even something you can comfortably ask for as a gift. 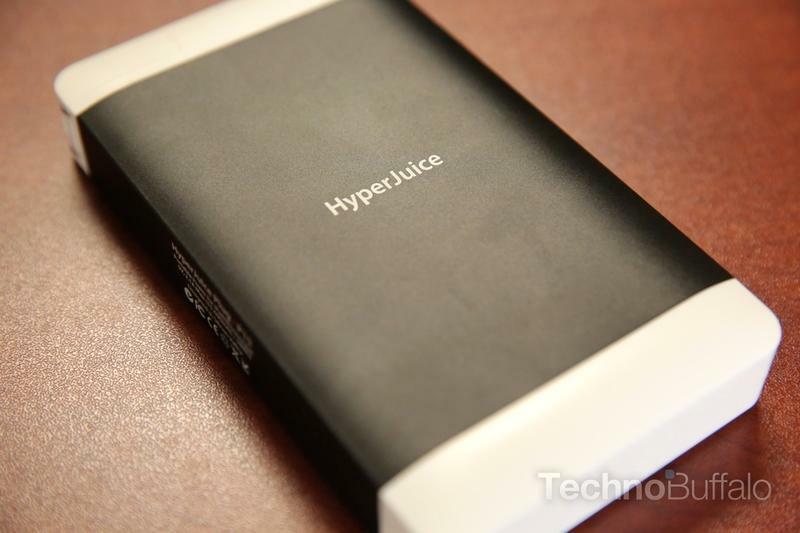 The company offers a 7,200 mAh HyperJuice mini for $60 less, so it depends on how much power you really need. I also found the plug itself to be a little flimsy, especially when hanging from the wall. The weight is so substantial that you feel like it'll jump right out of the wall, though I never experienced such an event. Additionally, because the gadget commands such a large battery, it takes quite awhile to charge. 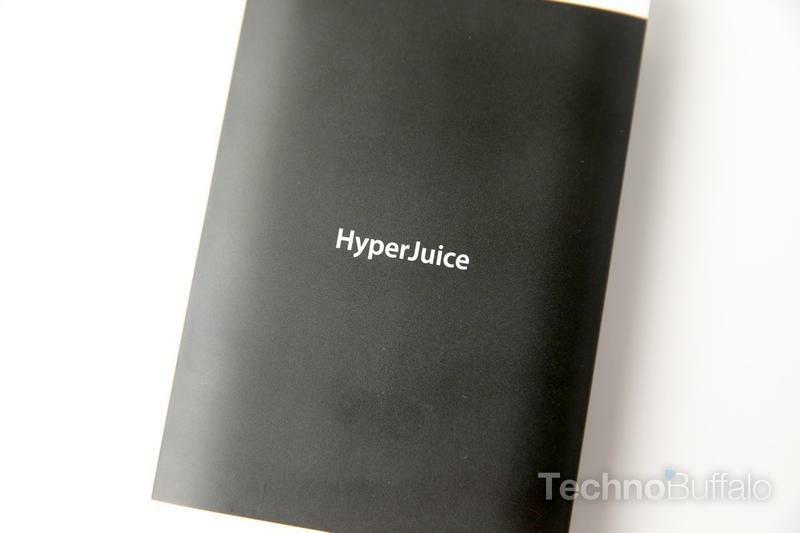 If you charge this up overnight you'll have a fresh HyperJuice no problem. You bet it does. 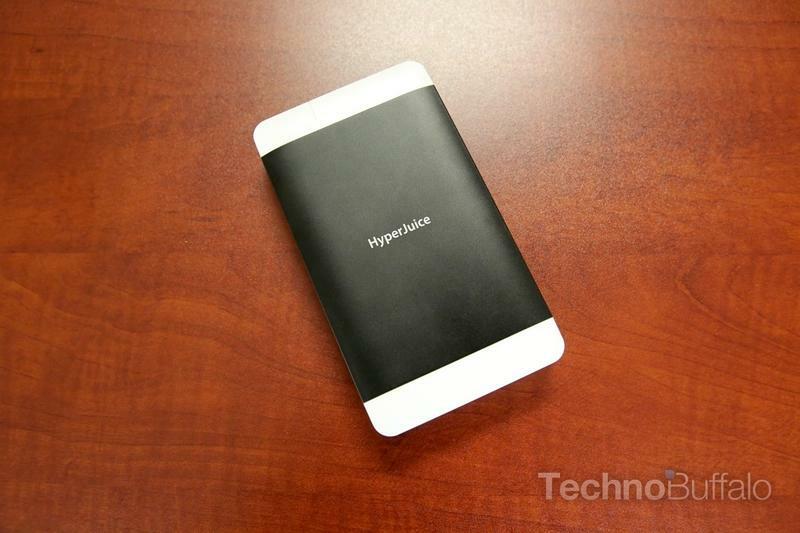 If you have multiple device syndrome, this will put your battery anxieties at ease. For families with as many iPads as kids, this could be a lifesaver on long trips. It'll charge any iPhone you can throw at it, and any Android smartphone/tablet for that matter. The Nexus 4, which has pretty abysmal battery life, charged up in a few quick hours. I love you HyperJuice Plug.